G'day, 你好, こんにちは, 여보세요, Xin chào! The only English title for all Asian communities in Melbourne. Including real estate, food, education, car guide, classifieds and more, distributed free in the CBD, Springvale, Footscray, St Albans, Sunshine, Richmond, Doncaster and Glen Waverley, etc. The new way that helps both Business owners and Community to communicate faster, easier and more efficient. 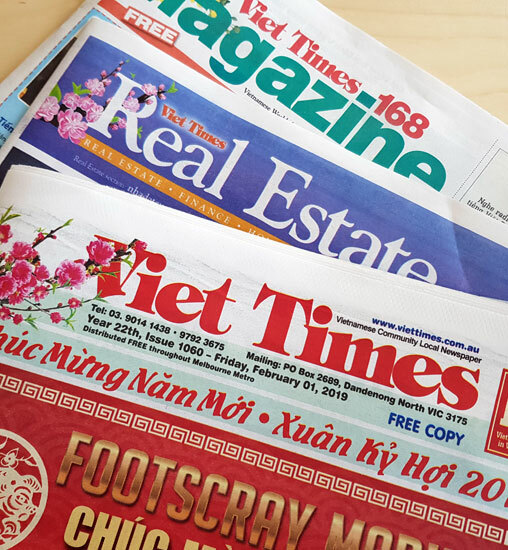 We're proud to combine News, Events, Business Directory, Classifieds and Blogs all together in Face Viet. Ever stuck in the process of searching for a service and unable to find the ones you prefer? We understand this problem, so we are introducing Tradies Line. 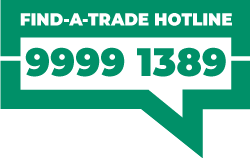 Just call 9999 1213 (English) or 9999 1389 (Vietnamese) and we will find you the best service matching your needs. © 2019 Adpro Media Pty Ltd.